Houma Attorney’s at Waitz & Downer law firm offer representation and services for estate planning in the Houma, Thibodaux, & New Orleans area. Contact our living wills attorney who will advise you on the best way to approach and set up a living will, power of attorney, and medical power of attorney. A living will is a legal document that is used to represent your wishes in the event of medical treatment when you are incapacitated. It contains issues that need to be discussed with your wills attorney. For example, if you are in a vegetative state, what do you want to happen? 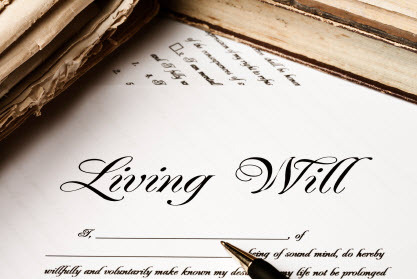 A living will can’t be broadly worded and will be discussed at length with your Houma Wills Attorney. Additionally, you can appoint someone to make these health care decisions for you at a time when you are unable to speak for yourself. Having a wills lawyer prepare a living will for you ensures that your wishes are carried out and that your family is protected from making the difficult decisions for you. Our staff of wills attorneys at Waitz & Downer in Houma & Thibodaux, LA are skilled and professional with all estate planning services. Our prices are competitive and affordable in the Louisiana area. Contact us to schedule an appointment to discuss your living will, or give us a call at (985) 876-0870.